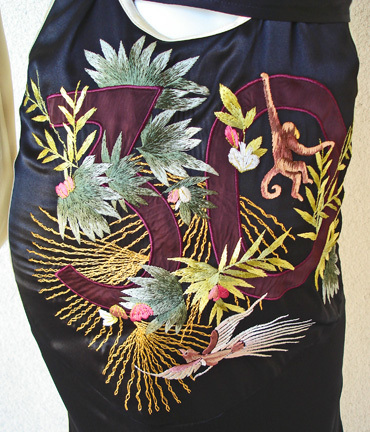 Tank dress fashion of bias cut black silk charmuse emblazoned on back with embroidery and the number 30 marking the designer's 30th anniversary in fashion. 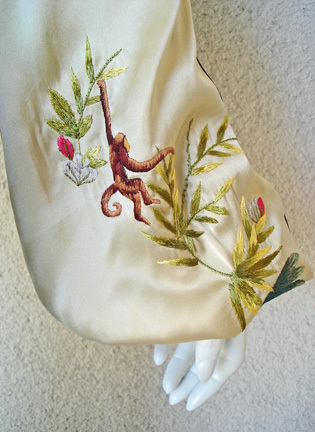 Whimsical motif combined with monkeys and cranes against a floral motif background. 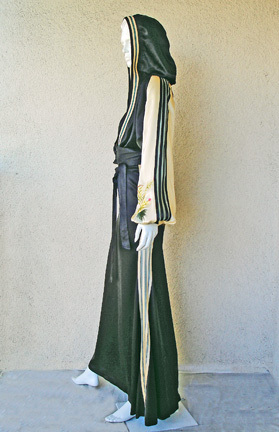 Cutout stripe net piping on both sides of dress. 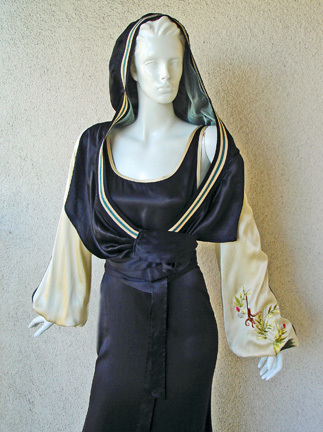 Baseball style short silk charmeuse hooded jacket, with wrap around ties and off-white bishop sleeves; net interior; and trimmed in see-thru net stripe piping. 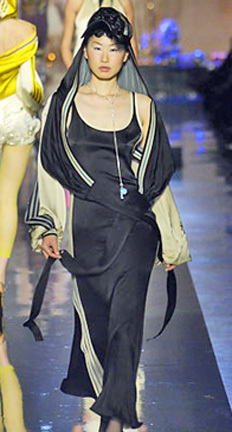 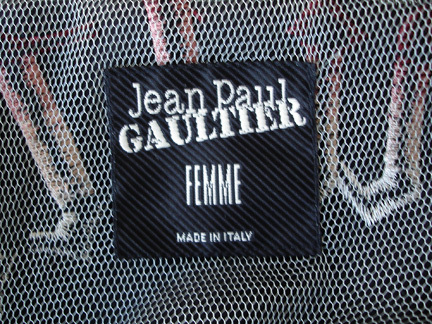 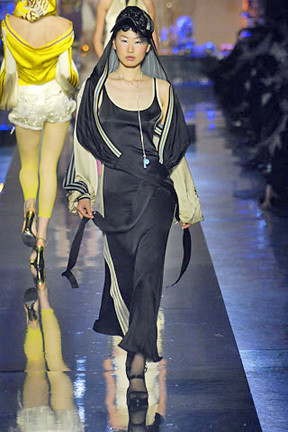 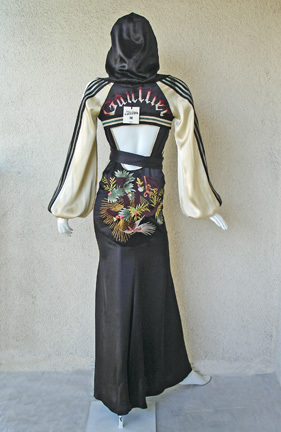 Single sleeve embroidery and Gaultier's name embroidered and emblazoned on back. 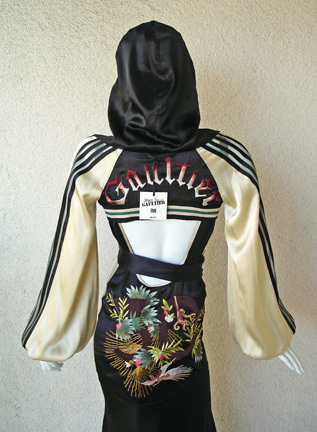 These baseball jackets came in countless color variations and some with the Japanese influenced embroidery and the number "30" emblazoned on back. 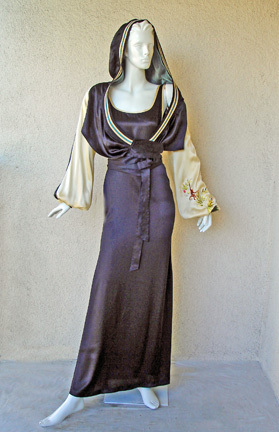 The jacket is designed to be worn as day wear with the dress added for a striking eveningwear ensemble. 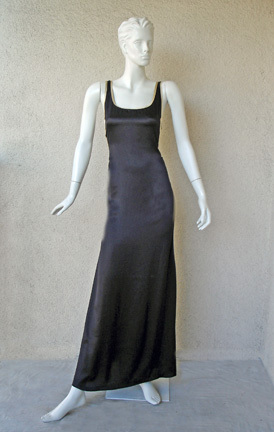 Brand new; unworn with tags. 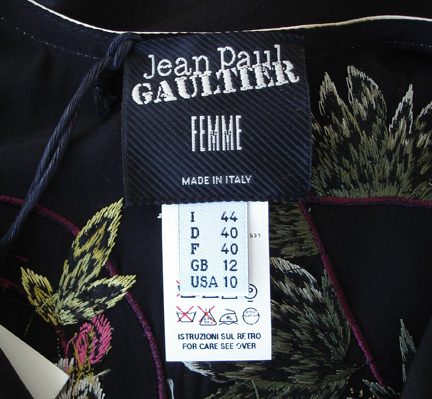 Size: both pieces size 44.